Conveniently located off Interstate 20, this Wingate by Wyndham West Monroe is near the University of Louisiana, Glenwood Hospital, Louisiana Purchase Gardens & Zoo, The Biedenharn Museums and Gardens, Southern Pines Golf Club, and many local restaurants. 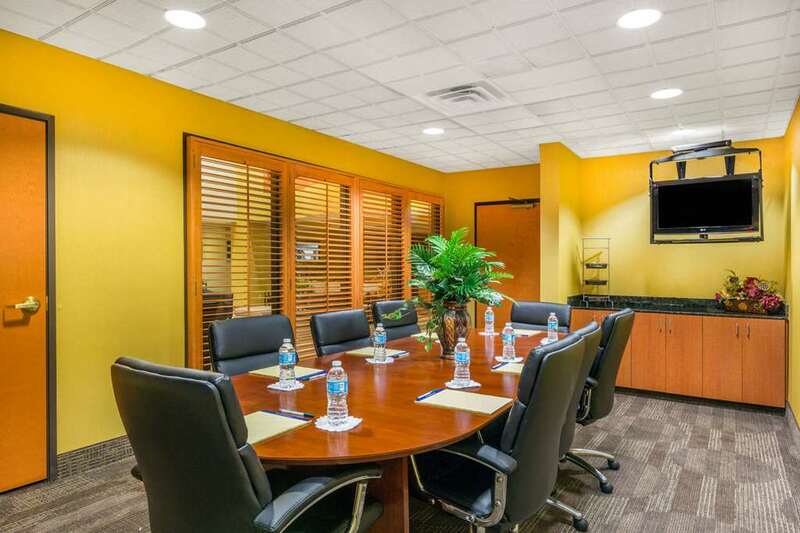 Ideal for both work and play, this smoke-free lodging offers complimentary hot breakfast, complimentary internet, heated indoor pool, fitness room, dry cleaning and laundry facilities, meeting rooms, and 24-hour business center with complimentary copy, print and fax services. There is no charge for children under 17 when staying with an adult. Guest room amenities include microwave, refrigerator, safe and newspaper. Suites and handicapped-accessible rooms are also available.